 Tater tots have been a long standing cafeteria food in schools for what seems like eons. Well I guess this was the case until the governing bodies decided that kids weren’t smart enough to make decisions on their own and made everything produced in school lunch rooms to taste like sodium free cardboard. Along similar lines is the sweet potato fad. Apparently people got so bored with frying regular potatoes, turning to their sweet sultry half cousin seemed like the only reasonable possibility. 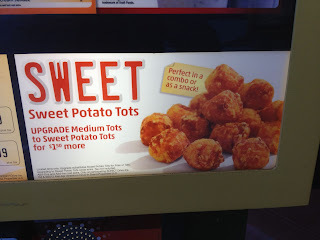 Sonic was one of the first to bridge this ideal into the fast food world with their Sweet Potato tots. Upon first glance when doing the classic side by side with the reg and sweet potato tots, there is clearly a color difference. But based on the other feel tests, they are seemingly pretty consistent. 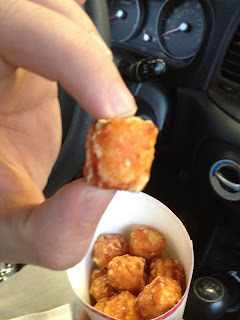 While I’m not quite sure what makes a tot a tot, there is a texture both inside and out that is pretty dang unique. The flaky and cylindrical shape on the outside makes all tater tots into a poppable, grabbable entity that you can mindlessly nosh on with little or no brain power. The inner workings of tater tots consist of shards of potato or in this case sweet potato. While the consistencies vary from place to place, you traditionally get a more chewy texture than flaky. 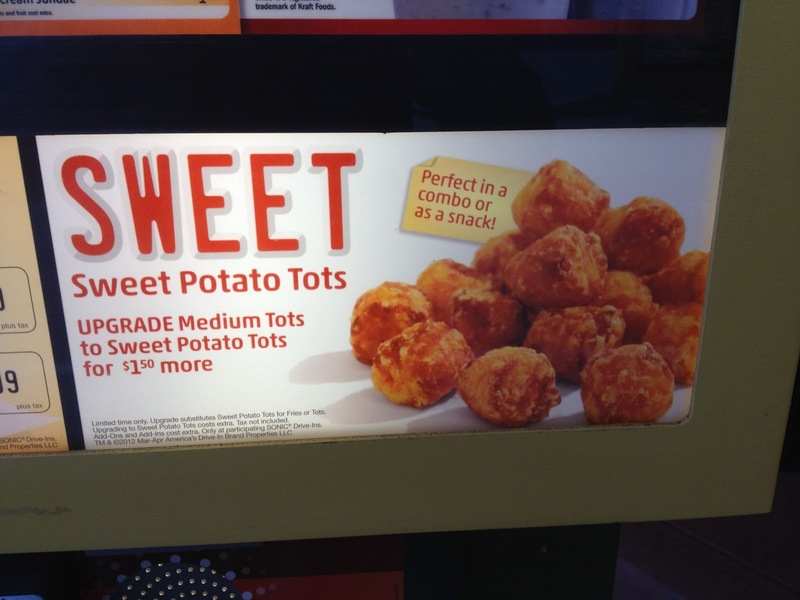 These sweet potato tots tasted just as advertised. While its hard to call them more than they are, they tasted just like a sweet potato should, sweet. 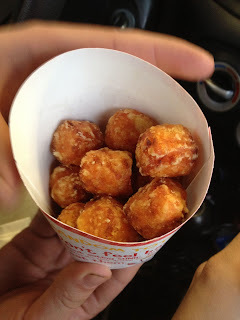 The tot environment suited them quite well with the crunch shell and warm soothing prowess. While my favorite thing to do with sweet potato fries is to add a little salt to add that sweet/salty component, we weren’t given any type of salt apparatus with our meal, so I never got to try out this added wrinkle. While I was a little put off by the $1.50 upcharge for the right to go sweet, you only live once, so I had to give it a go. 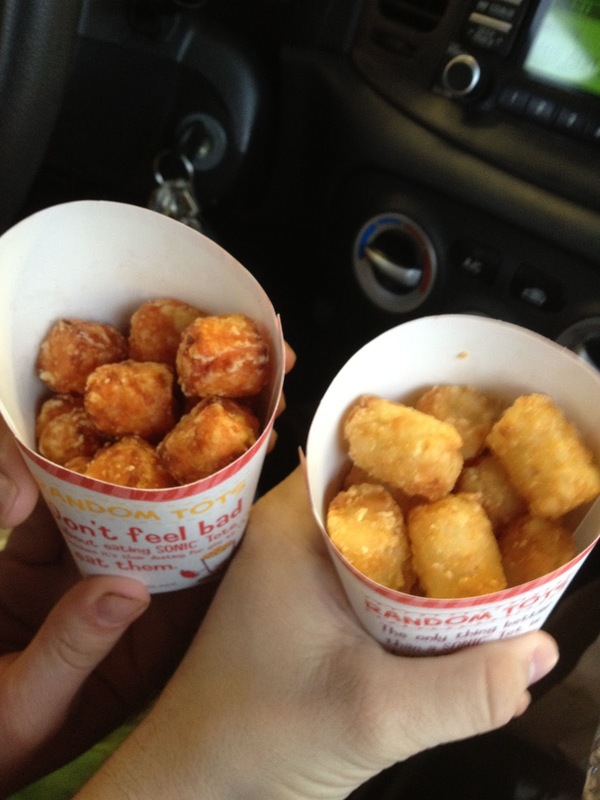 I did really enjoy the tots although I do feel as if they were a little heavy. 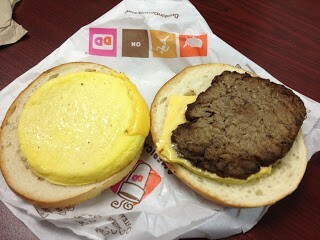 They were packed tight with sweet potato, with little to zero airy-ness. 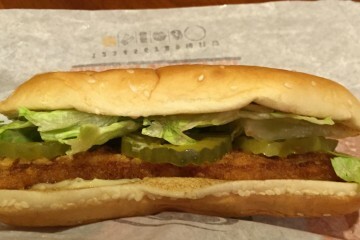 If you get a large of these things, prepare for a food coma at the end of them.